Thought I would share my estate sale finding from Friday. Found a few rare Gems down on the coast of Charleston, at a good bargain price. Includes a Wright and Dickson St. Andrews Hickory shaft wood. Bulls eye Putter, Rick Hamilton Becu Putter, Hogan Wedges and a few other notables. Not bad for 1 hour of work and a costly $15. I see my competition has upped his game. Well played sir. Yep he has upped the game and had a great hunt today. lol, No Competition here theres plenty to go around. Swing, do you subscribe to “Janet Gaffney, Estate Sales” in our local area. She puts on a top notch operation, and some good high end stuff, not necessarily golf related, can be found. 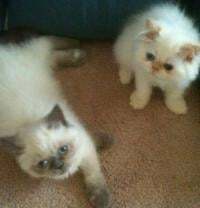 I use estatesales.net to peruse sales and auctions locally. Around here at least, most all the estate sale companies list current and upcoming sales on the site. 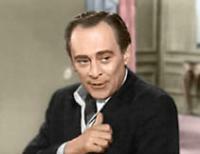 Typically will have a number of photos that one can parse through looking for items of interest. Beyond just golf clubs. Although some of my best "finds" have been at estate sales. Targeting sales in more affluent areas near private golf courses can be productive. Two things I notice with estate sales. They will have an inflated value to their golf offerings. Or haven't a clue on pricing and good bargains can be found. Doesn't seem to be much middle ground. Swing, do you subscribe to "Janet Gaffney, Estate Sales" in our local area. She puts on a top notch operation, and some good high end stuff, not necessarily golf related, can be found. I havent, I may do so though. Im kinda of a rookie at this, but learning my way. 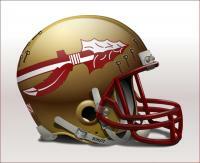 I live in the Charleston area by the way. I usually just go on a website to find out about sales. 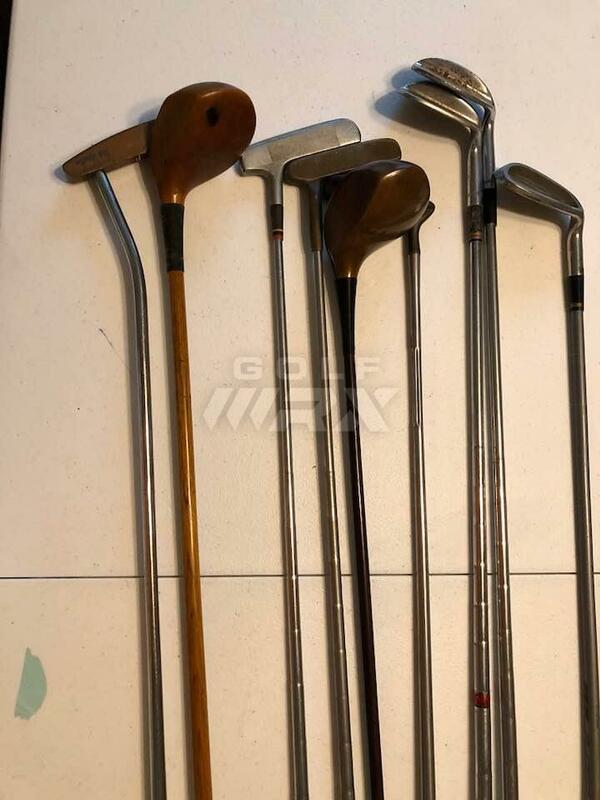 And yes I have noticed, Golf clubs are either inflated in price or dirt cheap pennies on the dollar because they don't know what the heck they are lol. What makes it so fun. PS. I escaped to Florida (Orlando) this weekend from the Hurricane and went hunting. Found a few things but hit a Homerun in a thrift store next to a Golf Course, Bridgestone J36 Premium Forged Black 4-pw still in Box NEW!! 1 of 500 set from my research. paid 34.99. A couple of hits lke that would warrant the travel to get there for the hunt. wkuo, yes def, I did find enough to cover my trip but all that hunting cuts into family time so balancing it is hard. Wife is getting use to it but I get the evil eye now and then. Good for you, I was once at the Sun River Resort smack in the middle of the 3 golf courses they have on vacation with my family. I visited the pro-shop but not a round of golf for the 10 days we were there. Did I think about golf while I was there looking out the window with the view of one of the fairway , you bet. Regret ? No. No regret with the memory of a part of my kids' growing up. The bike ride and the trail walking, horse back riding, the visit to the swimming pools.......all the things tourists do except for golf because I'm the only golfer in the family. The bike trail winding through quite a few golf holes, and I did stop to look at other golfers enjoyed their game. Yes, my wife encourage me to get in a round or two, but I left my golf clubs at home intentionally. Oh, I seemed to have a habit of doing that, another time was at the St. Regis Princeville resort, not a round of golf. I love golf, second to my family. Ooooh man... big miss on skipping "The Prince". Played it while there a few years ago just before it closed to the public. Went for a twilight 9 with my and Father in law and managed to finish all 18 before dark. I even had Staff Fg17's in the bag if I remember correctly. My one foray onto a rich guys course. Stunning layout. I'm with you on skipping the golf (sometimes) while on vacation with the family. Gotta keep priorities straight. My family knows how rabid I am about golf though and they're pretty good about it if I show decent restraint. Last year I was overwhelmed at an estate sale and came to the conclusion that I am glad my collection is more about persimmon drivers than everything else. 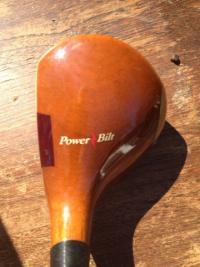 At the estate sale were several original armour blade putters. A few green shafts but all had too much green chipped off for my liking. 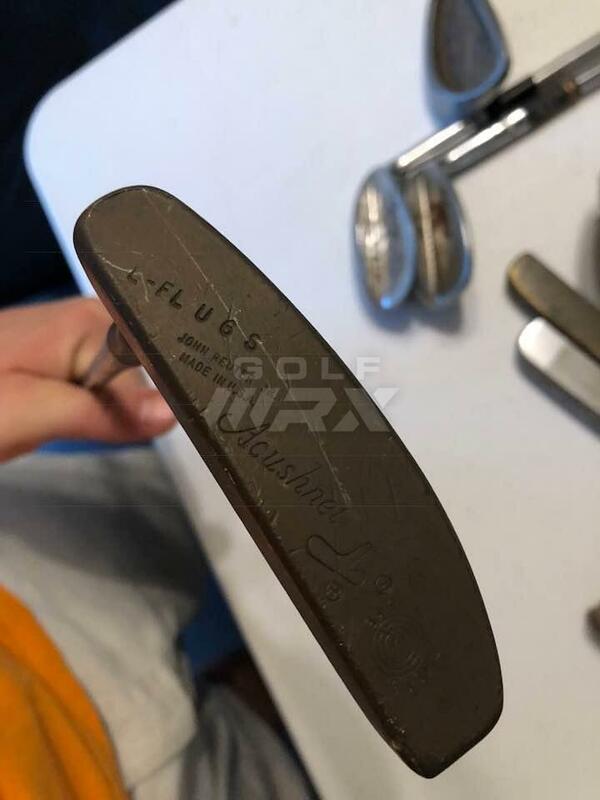 All 10 or so putters were buffed out too much except for 1 that was super badly pitted. 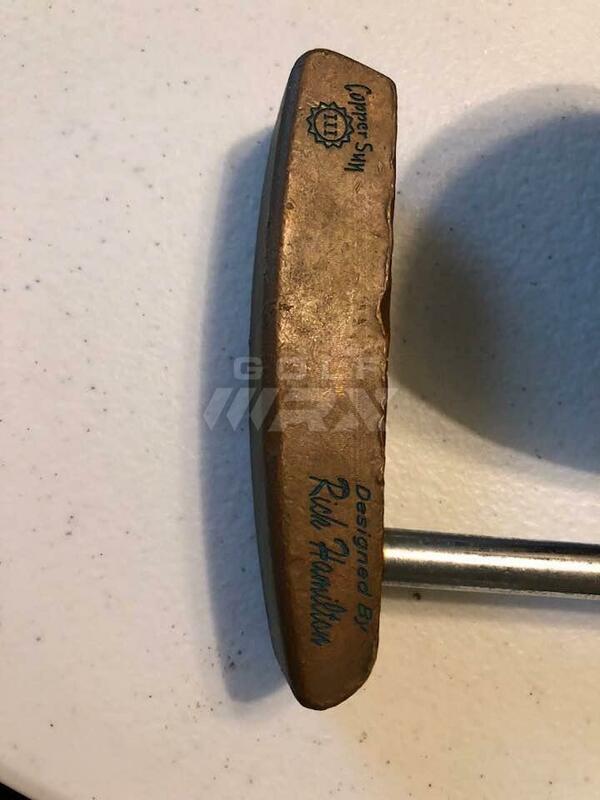 There was a decent 8802 and several new Nicklaus/Low Macgregor putters that I probably could have made a few bucks reselling. 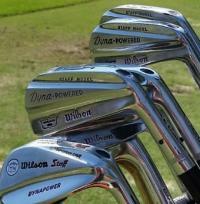 There was every Wilson Staff or Dynapower from 65-76 and a nice Macgregor SS set as well. There were no holy grails Penna or ‘67 VIPs. 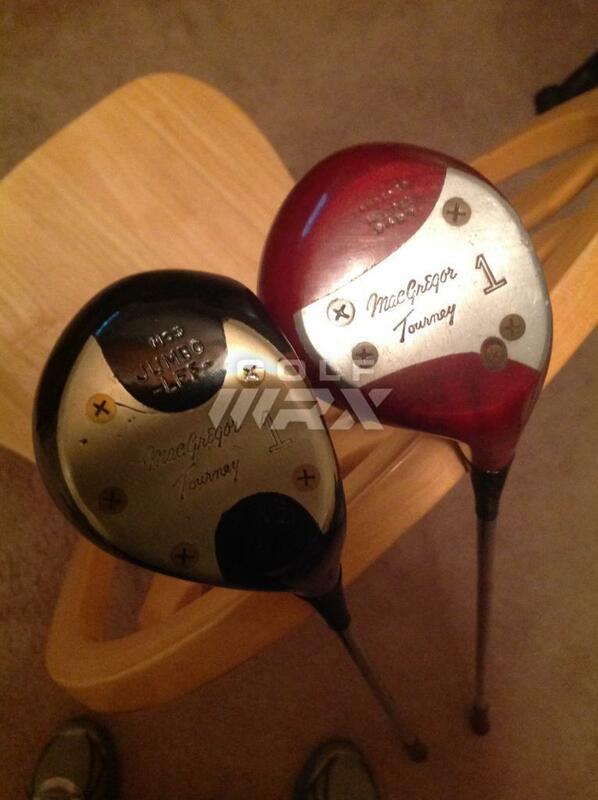 The persimmons were also bountiful with many sets the best being M75s that were refinished. I have to admit my collection has great examples of the best Macgregor persimmons but nothing all original and still a good to great example. 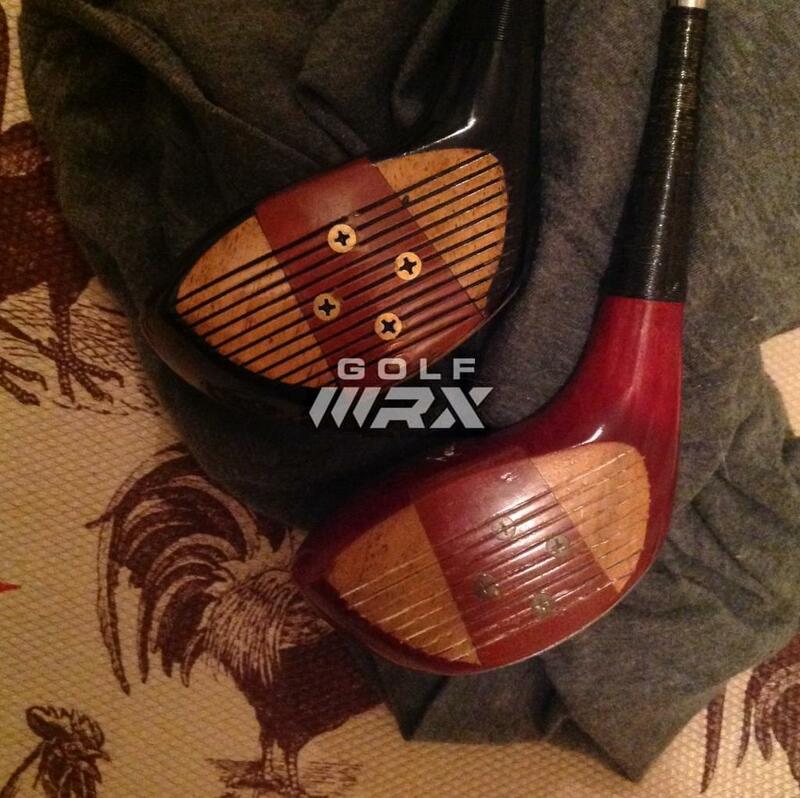 Bottom line with 1500 clubs staring at me and other older golfers from the nearby club rummaging through everything I ended up with 2 good all original best of 50’s classic Macgregors a ‘52 red fiber 945 and ‘50 M09 LFF. That's it??? How was pricing? Love that JUMBO LEF. I'd offer $30 if the neck has no crack line under the whipping. I kid........ 2 x your investment is obviously not even close. I actually have checked all my best MacGregor persimmons for neck cracks and they're all solid. These 2 are the only ones unchecked but I feel with original grips they'll never get hit anyway. 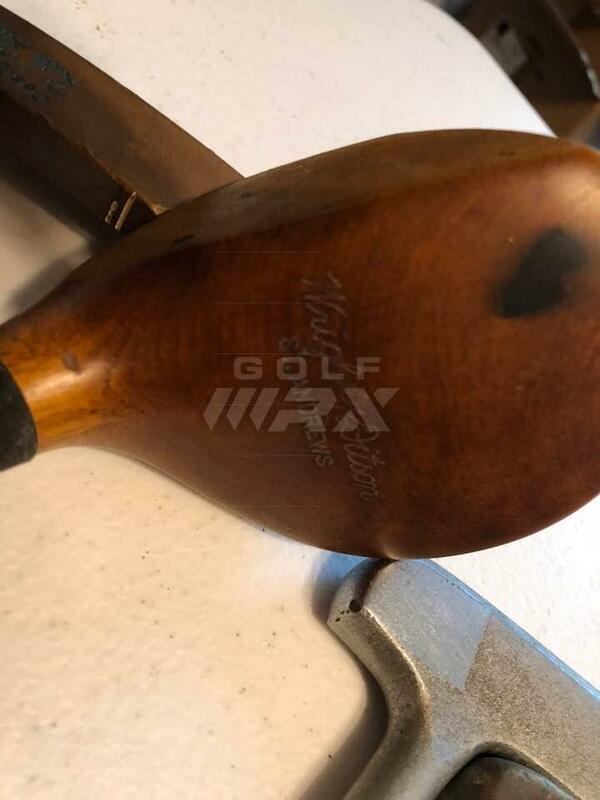 The '54 945W 3 wood in my collection has cracks in the head and the guy who refinished it said the club should never be hit again. So I've hit the **** out of that thing(100 mph club speed)a few hundred times and it's solid as can be.